Smokin’ ‘Em, ‘Cuz He Got ‘Em! My wife and I took a spin to Southtown San Antonio last night to try out the B & D Icehouse. Mighty fine barbecue here, folks. Ross Carter was on the pit last night and very generous with his time, and here’s a guy with an interesting story. His first job in barbecue was at the fabled Salt Lick (In Dripping Springs, mind you, NOT Austin). 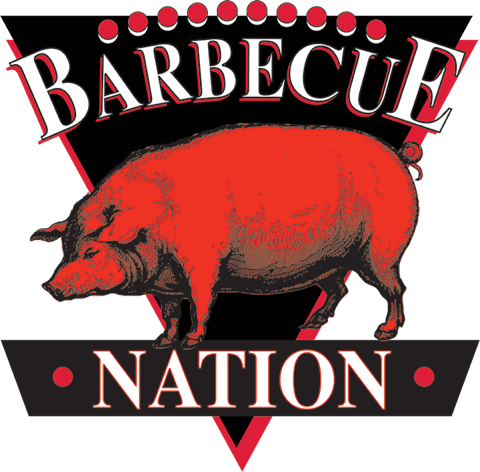 He did a a stint a Franklin Barbecue and credits Aaron for teaching him a lot about the art of smoking meat! 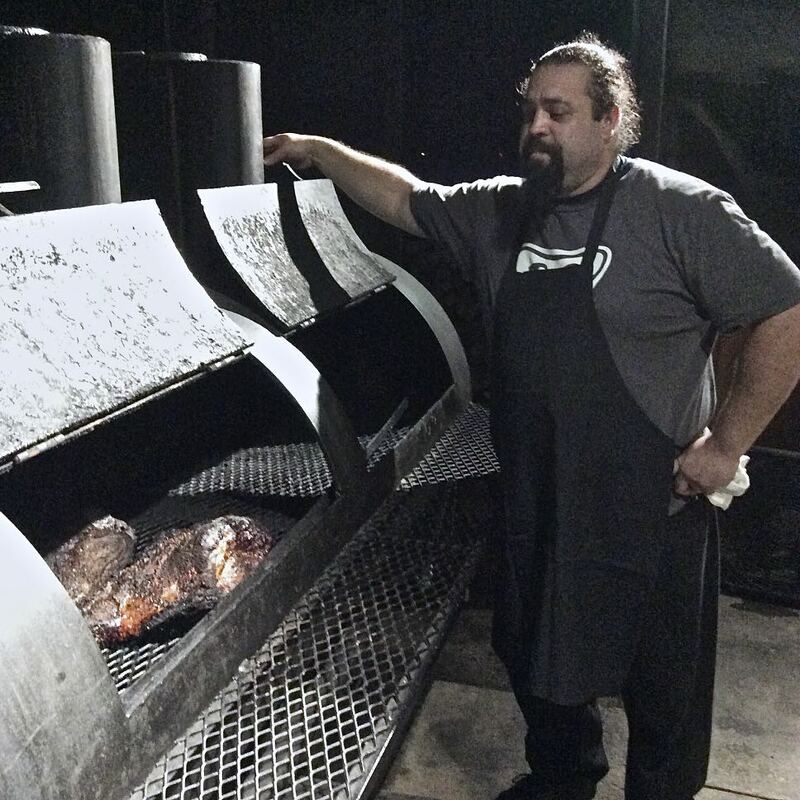 Now after fifteen years in the business he is on the pit at B&D working with Pit Master Jose Cueva, and one of San Antonio’s most successful restaurateurs, Jason Dady. 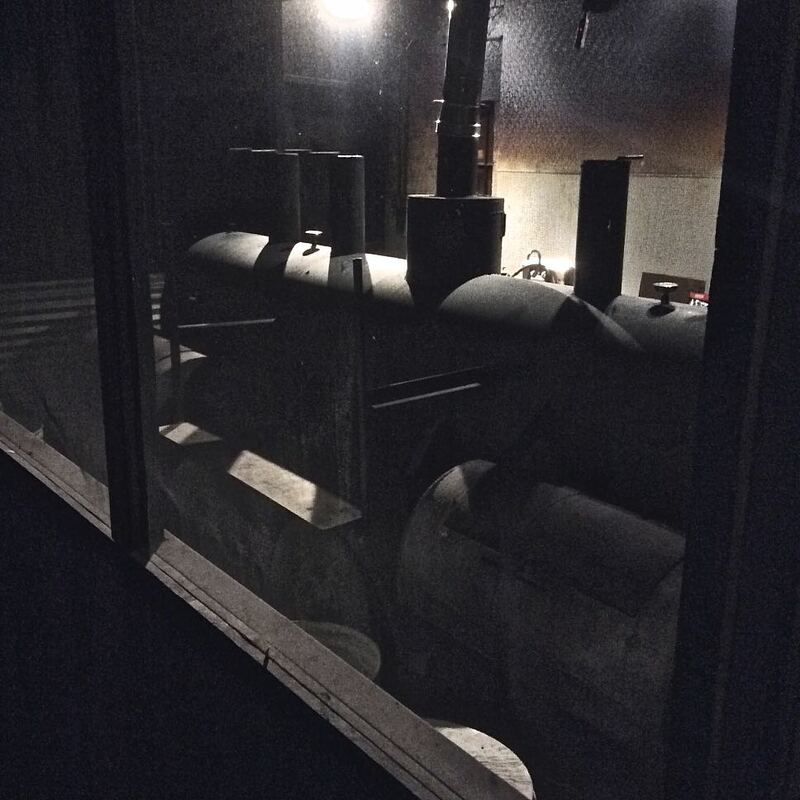 Checkin’ tomorrow’s briskets on the pit…Lookin’ good! This brisket is prepared over a long hours in keeping with the latest twist on low and slow smoking. In a nod to Franklin, after the meat has spent about ten to twelve hours on the pit, it’s wrapped in butcher paper and stored overnight in a cooler (Ross is insistent: A Yeti!) before being brought up to temperature the next morning when it goes back on the pit. The end result is a moist, tender smoky slice of brisket. On a Friday night at the B&D, that was just the ticket! Thanks again to Ross Carter, and all the B & D Icehouse team, including Pit Master Jose Cueva, and top shelf front of the house personnel Rueben and Spencer, for their outstanding hospitality, tasty meats and a terrific tour of the pit! These folks know their pit, love their craft, and take care of business. All the best to all y’all. Hey there Clarence Dupree, how you doing thanks for the shout out on your blog. I appreciate the mention feels good to get noticed for my hard work. But in can’t take all the fame it is a team effort. Like rueben and Spencer and our front of house crew Vincent that work with me here at B and D icehouse. And I feel I have to say I think I got miss quoted tho. I’m am not the Pit Master for B&D. I have earned the title of Pit Master just like I have earned the title of Chef thro hardwork and long hot hours in the kitchen. 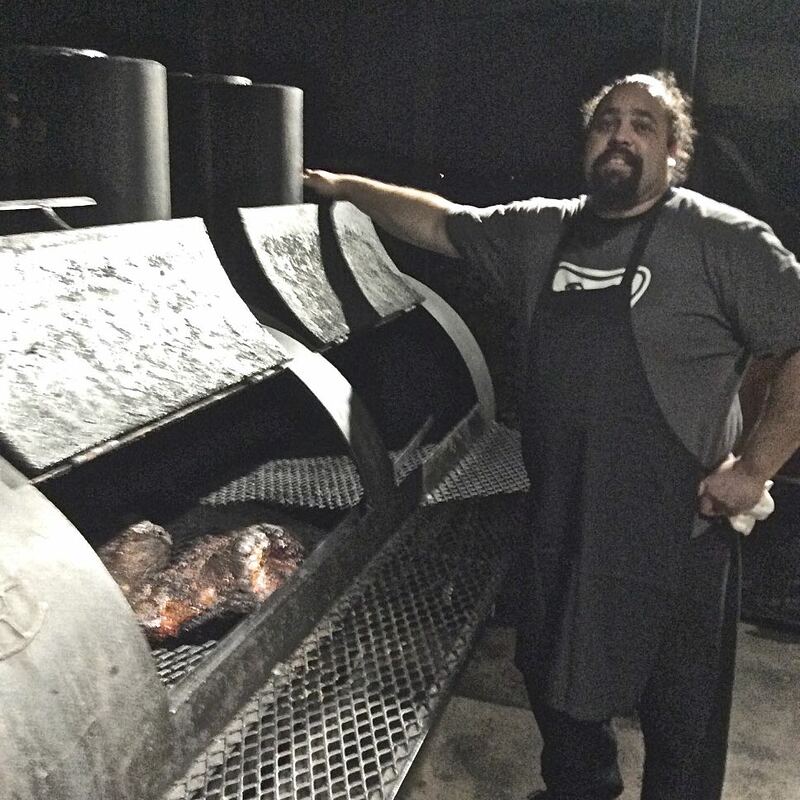 But alas Jose Cueva is B&D icehouse and BBQ’s Pit Master. If you can please make this mention it would be much appreciated. For I can not and will not feel right taking all the compliment and credit. Absolutely, Ross. You are so right to mention this. It’s team effort all the way, and I appreciate you mentioning it. I’ve edited the post to reflect your sentiments and I appreciate your respect for your colleagues in bringing this to my attention.